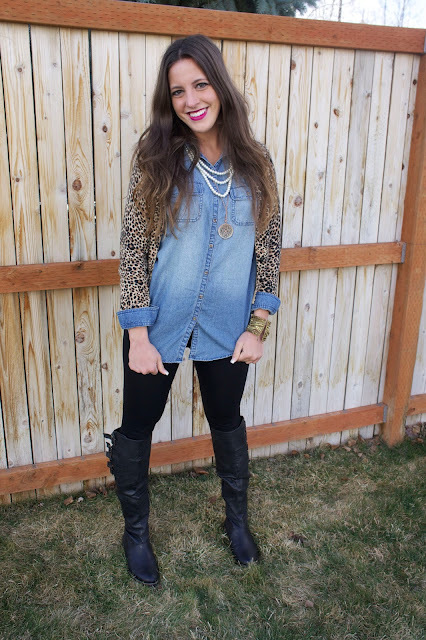 Some of my favorite things to wear at the moment is just my denim shirt and leggings, I love to be comfortable but at the same time I want to look cute. 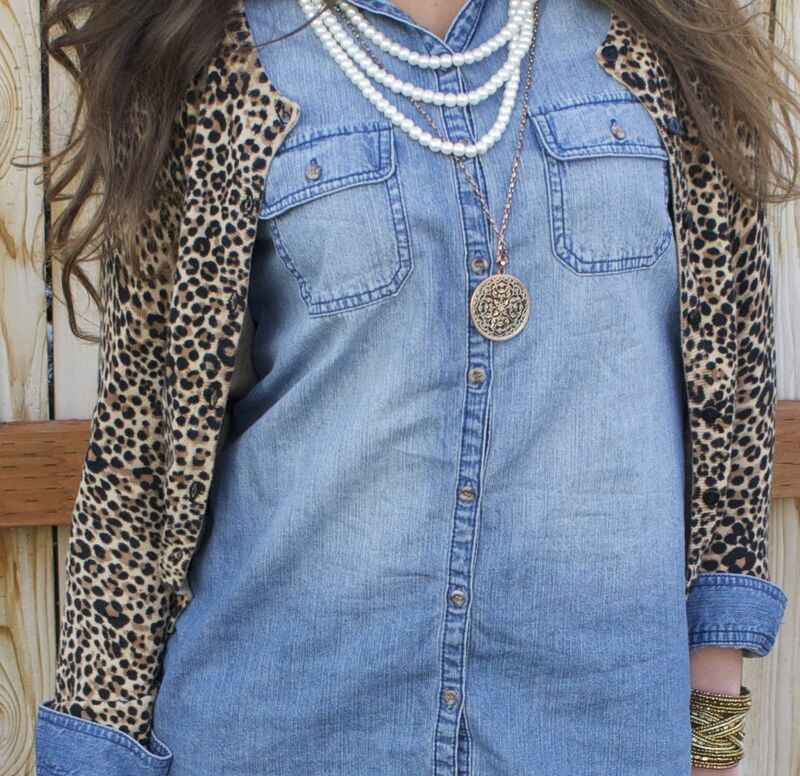 That's why I think this outfit is a perfect mix of comfort but style. 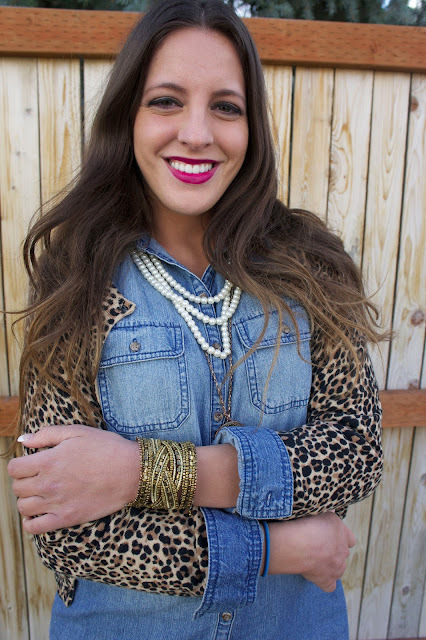 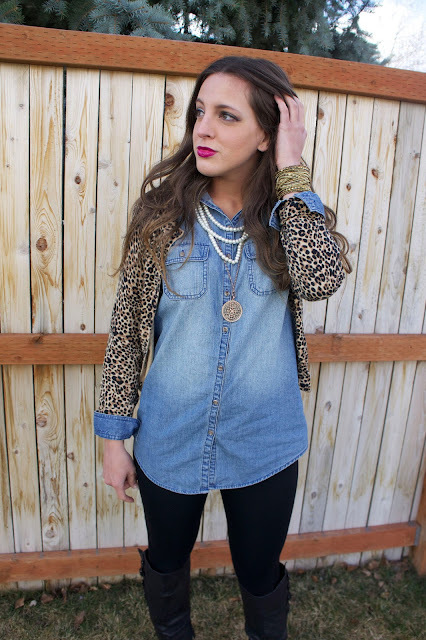 I paired my denim shirt with a leopard cardigan, some necklaces, and a gold beaded cuff. 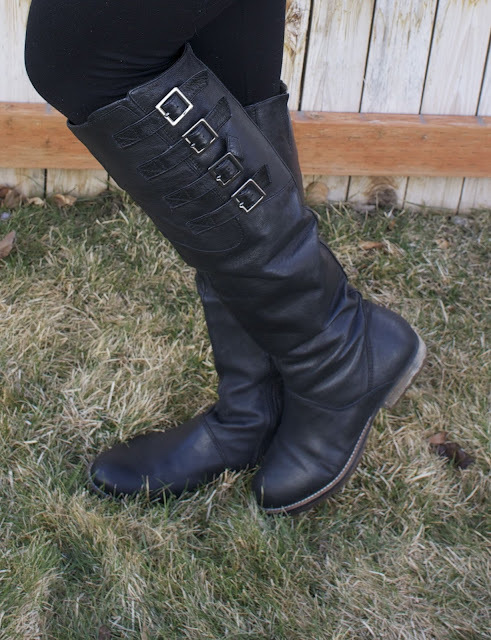 I also wore my black leather boots and black across the body purse. I love this look because I was so comfortable the whole day, but I also felt feminine and ready to go out. 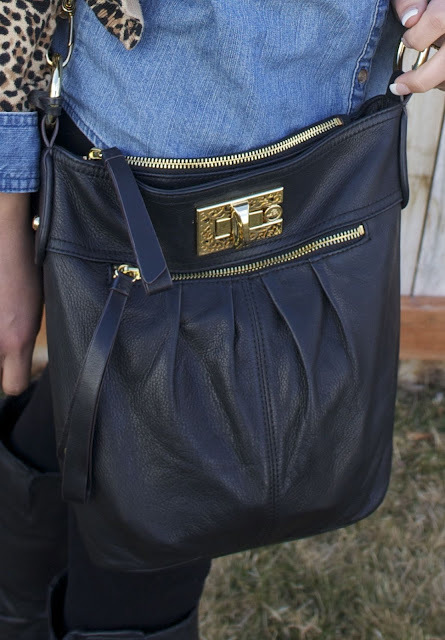 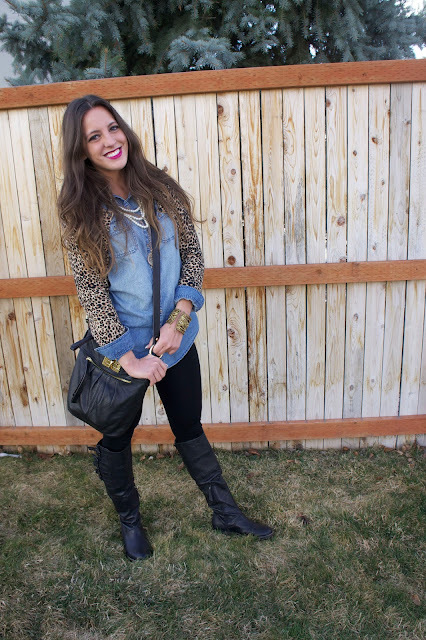 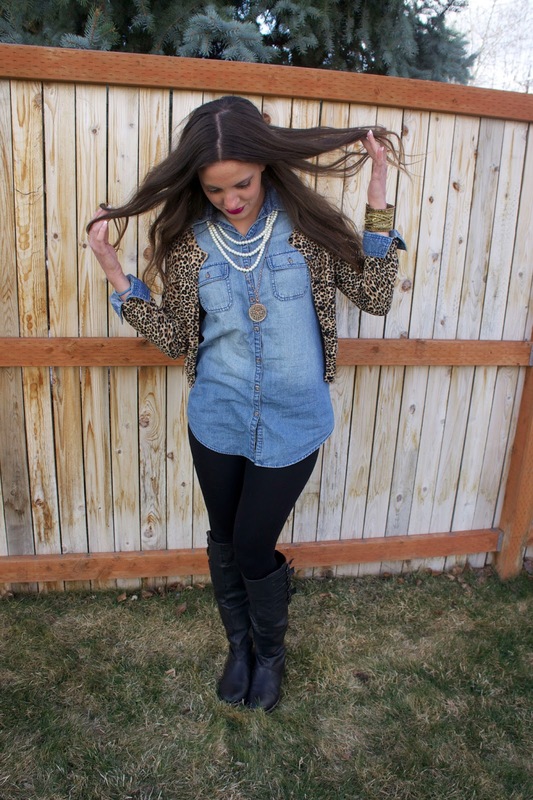 I think the denim and leopard together are a perfect mix of patterns for a girly feminine touch! 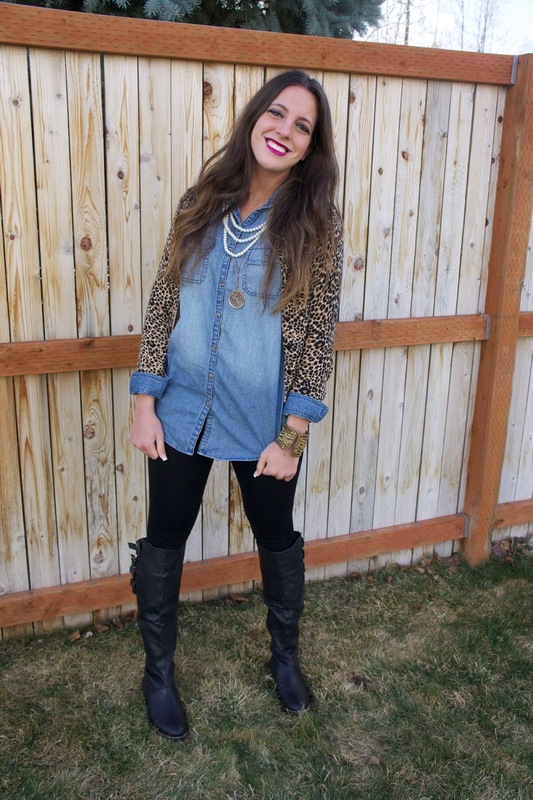 Loove this outfit and your lipstick..so pretty!